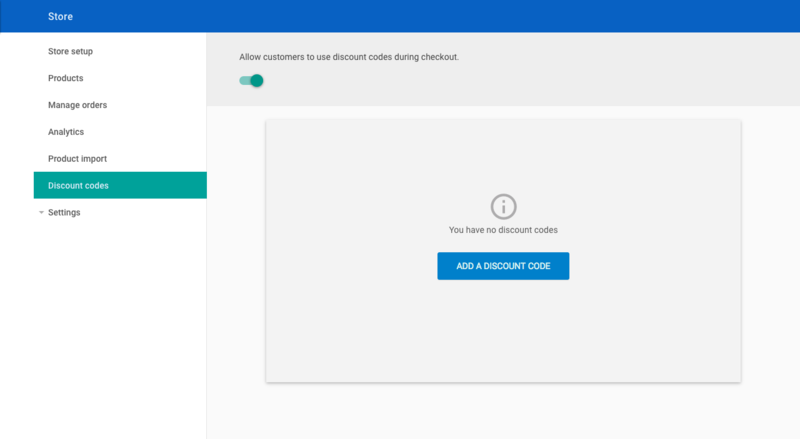 Click on Add a Discount Code or the + button to add a code. The code can be any combination of letters, numbers or symbols up to 255 characters. Codes are case sensitive so customers will need to type them correctly. 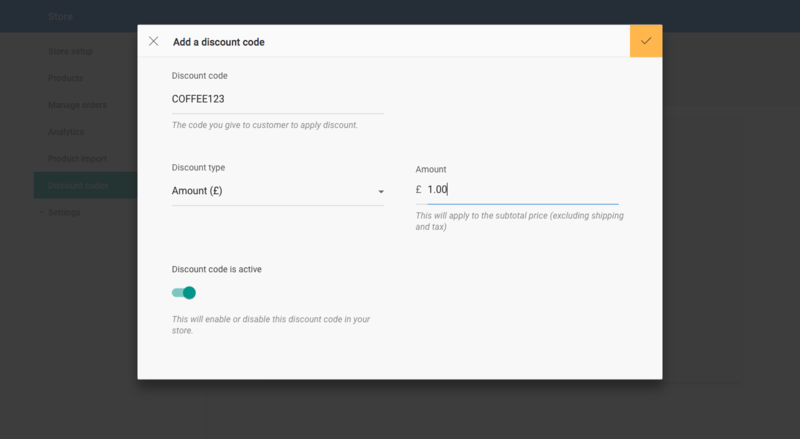 Percentage based discounts will take a percentage off the total value of the basket. Amount based discounts will deduct a specific value from the overall cost of the basket. The value of the order can never fall below 0. You can disable the code so that it no longer works. This can be useful if you would like to keep the code for use later, rather than delete it completely. 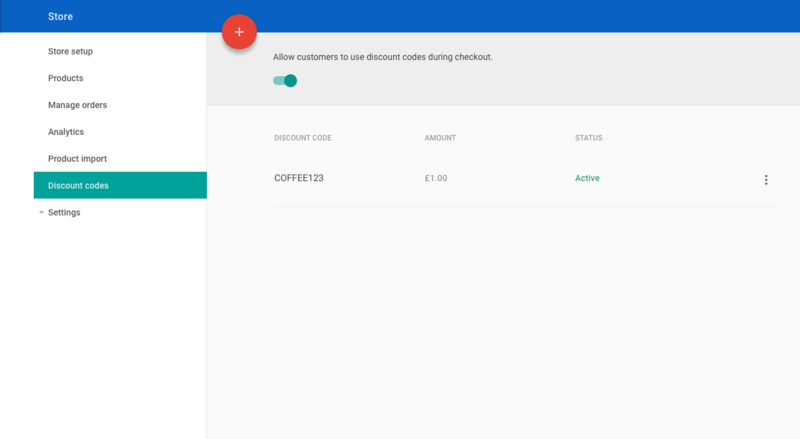 Once you have added a code, it will be displayed in a list. From here you can edit or delete each code by clicking the more button ( ⋮ ) at the end of each row. 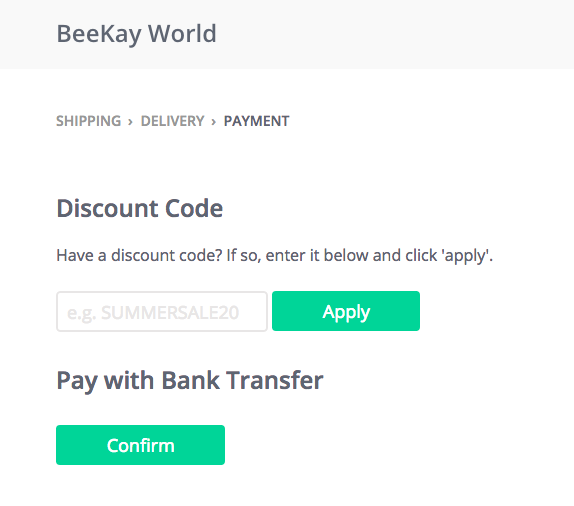 Store customers can enter the discount codes before they select their payment method. The discount will be applied to the contents of the basket before tax and it will be added to the breakdown of the order.